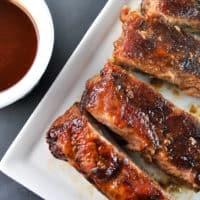 I’ve made these ribs a few times in the past few years and every time they’ve been demolished. 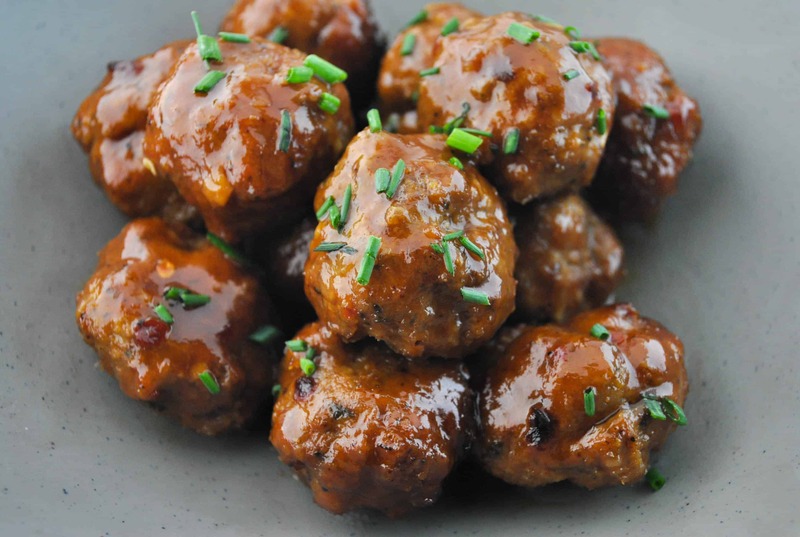 They are perfect to bring for watching a football game or any sporting event really. My family has gotten to the point where they’re requesting them for the Masters or Wimbledon… not joking either. I’ll take any excuse to make them. Slow cooking ribs takes a few hours of your day and some dedication, but it’s absolutely worth it. Making your own barbecue sauce makes it even better. 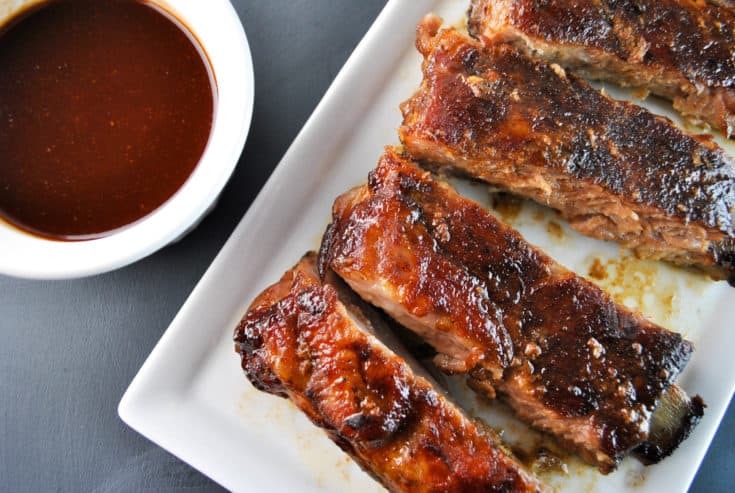 This maple brown sugar barbecue sauce is sweet, but has a kick from the layers of chili sauce and powder as well as the vinegar. Be sure to save some of the barbecue sauce for yourself to dip the ribs in once they’re done. ? 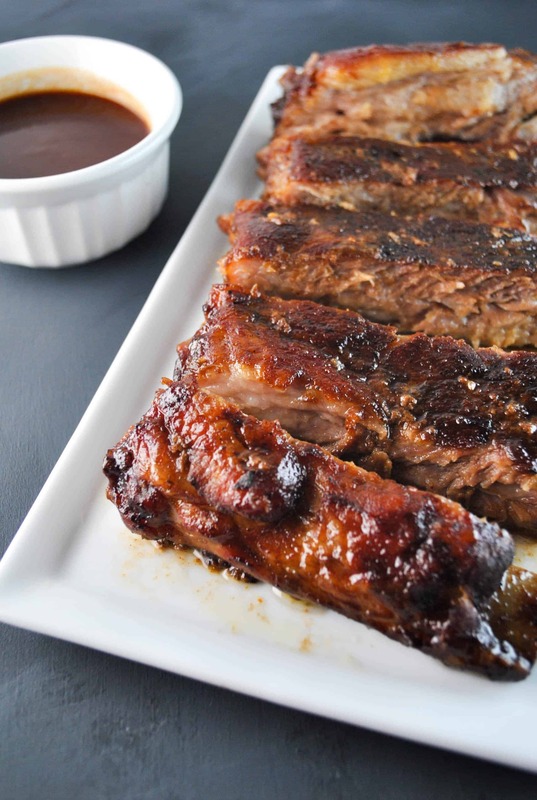 Sweet and tangy maple brown sugar barbecue sauce on slow cooked ribs. Combine all ingredients in medium sauce pot. Lower temperature to low and let simmer for 15 minutes. Yields 2 cups. Remove 1/2 cup for dipping.